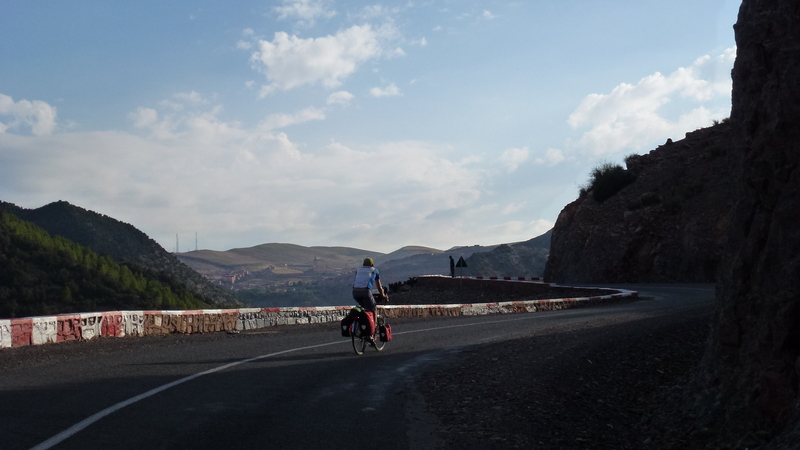 Adventure Cycling In Morocco: Dude Where’s My Bike? Flying with our bikes is something we are always reluctant to do, it’s a major hassle to get to the airport, since they are always out of the way and then the dismantling of the bikes at the airport inevitably means something goes missing not to mention the fact that the bike has to be handed over to the wonderfully mysterious forces of ‘baggage handlers’ hidden in the bowels (behind the wall) of the terminal. So, we fly out to Marrakech full of excitement and hope – ready for our latest adventure in a foreign land – not knowing what lies ahead of us (we very rarely plan a route in detail). We arrive in Marrakech via our EasyJet flight EKGCX6X ahead of time, 6 minutes early in fact, our bikes on the other hand do not arrive. We are fobbed off by the frazzled ‘Baggage Guy’ and told that the bikes have not made it on to the plane and that they will arrive on the morrow. There are a dozen other holiday makers without luggage – all of them in the oversize category – all of them pretty cross. Disheartened we make a plan. No bikes so we can’t travel, no tent so we can’t sleep, need to be at the airport tomorrow first thing to collect the bikes. What to do? 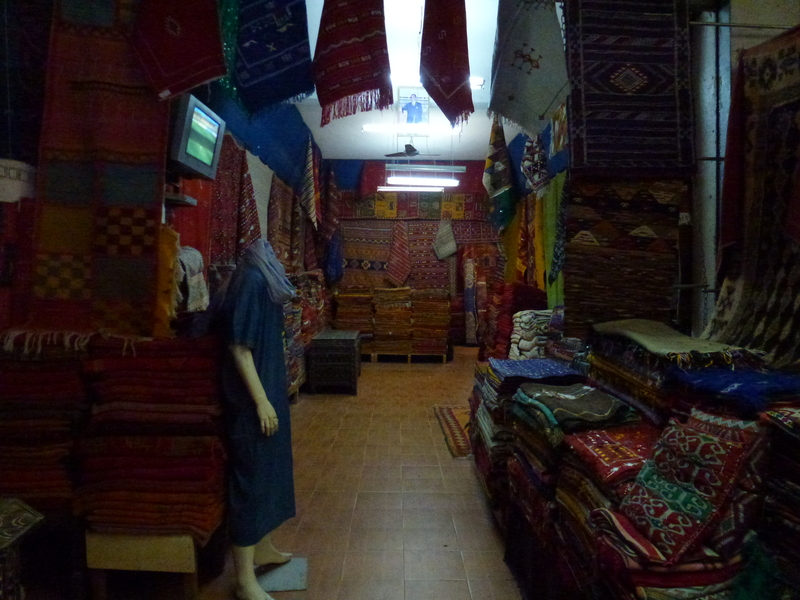 Only one thing for it really – go to Marrakech for the night and feast on tagine, mint tea and cake! 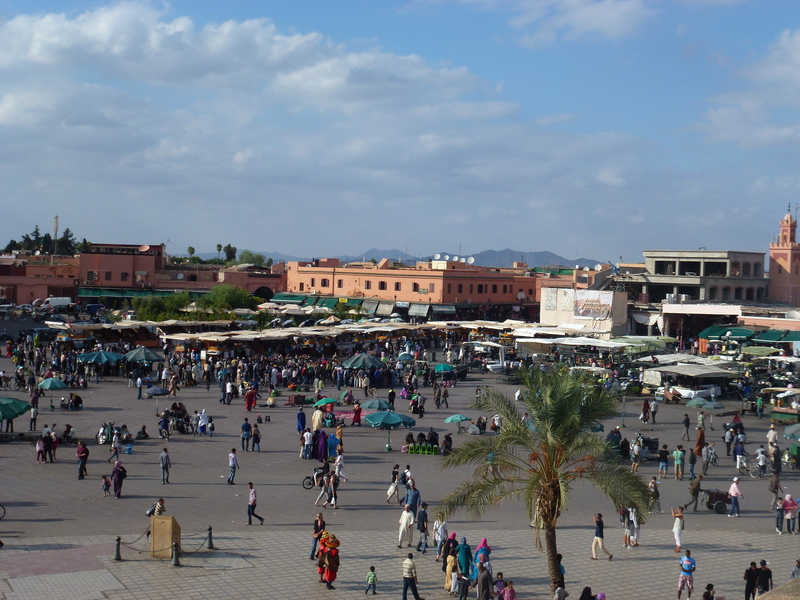 Next day on the bikes we pedal off away from the hustle and bustle of the Jemaa El Fna towards the huge, splendid, and violent mountains looming before us. 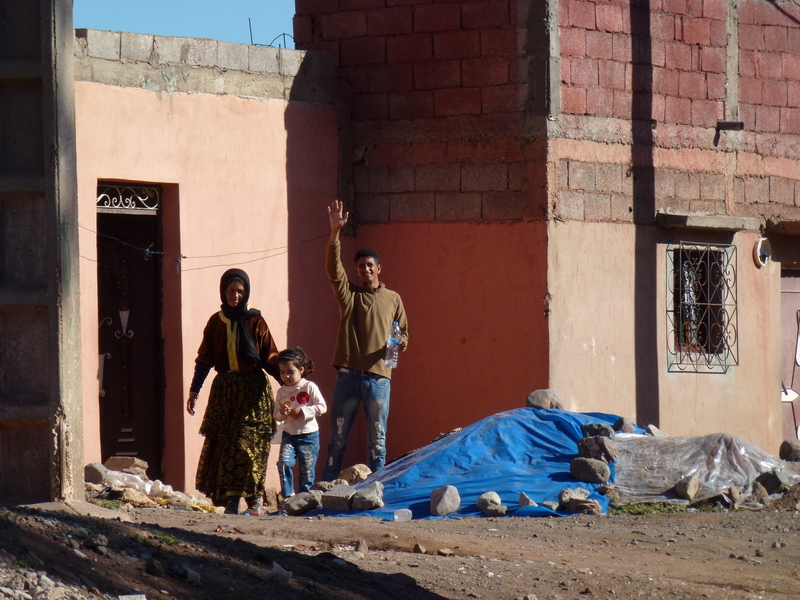 In the town of Asni in the foothills of the High Atlas, close to Imlil, we meet a Berber shepherd by the name of Moustafa. He offers us food and accommodation for the night in his family home, and we gratefully accept. 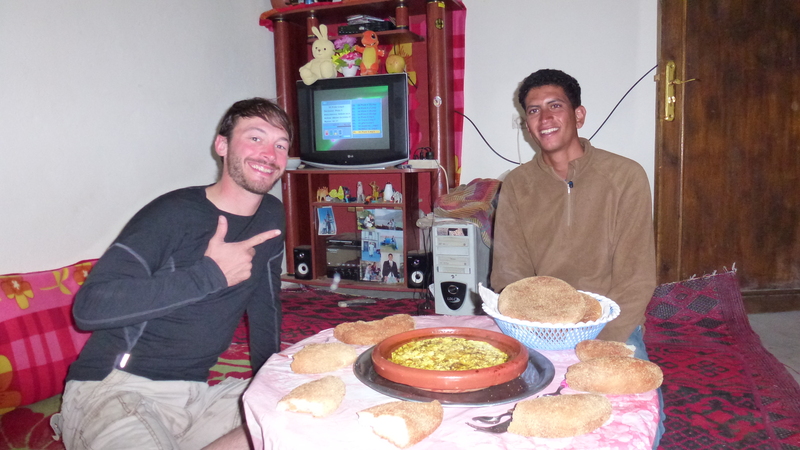 We are shown to the Hammam which is a real treat after a decent day in the saddle, then we sit down to dinner with Moustafa, a splendid Berber omelette with fresh bread and olives. Then out comes the mint tea. And the silver. And more mint tea. And more silver. And more tea. I casually admire the detail of the handiwork on one of the necklaces. I’m buying a necklace and I don’t even know it…. Negotiations are protracted, Moustafa and I cannot agree on a price, so we decide to sleep on it, in Moustafas bedroom. Next morning, keen to make a good start on the day into the mountains I decide that we must agree quickly and offer to swap a mobile phone for the two necklaces I like. And we’re on our way. Hurrah! Who did the best deal? Who know’s, but it was a fun either way. This entry was posted in Blog and tagged adventure cycling, adventure travel, cycle touring, cycling, morocco on 27 Jan ’13 by James.